Mary Elisabeth Naumann is a Member in the Energy, Equine and Financial Services industry groups, focusing primarily on bankruptcy, coal, commercial restructuring, commercial litigation, and equine law. She practices out of the Firm’s office in Lexington, Kentucky. Mary Beth’s practice centers on business and commercial issues in both state and federal courts, including bankruptcy and creditor’s rights, equine law, commercial transactions, and officer and director fiduciary duties. To Mary Beth, law and business are indelibly intertwined – everything about her legal practice impacts her clients’ businesses, whether she’s buying and selling assets, or defending and litigating claims. Mary Beth grew up in coal country, and that background provides her with a natural fit for representing clients in all aspects of the coal industry. In addition to that practice, she has also developed expertise in representing creditors and debtors in large bankruptcy cases, particularly the purchases and sales of assets. The bankruptcy piece of her practice also includes the defense of preference actions and the defense of claims against fiduciaries – including officers, board members and shareholders – stemming from their actions both prior to and in bankruptcy proceedings. The time Mary Beth spent with horses has also enhanced her equine practice. She loves to see the results of a stallion purchase or syndication with the arrival of the horse to the farm. From start to finish, she views this process as an amazing experience that makes all the hard work worthwhile. Mary Beth also enjoys putting her knowledge to the test by tackling complicated legal issues across her practice areas, devising creative strategies to address the issues and then implementing those strategies. Mary Beth’s multi-faceted practice also permeates into her time outside of the office. Her array of hobbies include blogging, traveling to little known destinations such as Saipan, and competing in marathons. So far, she has completed 24 marathons and counting! She also spends her free time running, swimming, and cycling. Most impressively, she is an IRONMAN® Triathlete which, if you didn’t know, requires a staggering distance of 140.6 miles. 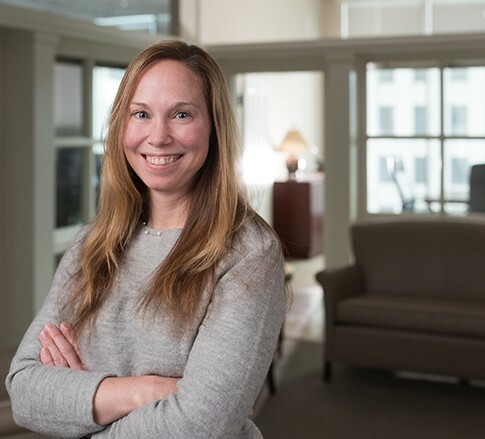 Mary Beth is accomplished within her field and continuously proves she has the dedication and know-how to represent Jackson Kelly’s clients exceptionally.